The frame of your presentation is its context. It’s how much you’ll cover and an outline of why you care. There are several ways to unbalance your frame: including too much background information, not providing enough, being too technical and not being technical enough. Going too far in any direction will cause you to lose your audience, either out of boredom or because the information is over their heads. Fortunately, you can balance your presentation frame or outline. Start by determining how much time you have and identifying the most important pieces of information you wish to share. Then, ask what background is necessary for helping the audience (in this case, your co-workers) understand where you’re going. Doing so will help you balance the frame of your presentation. You don’t literally have to ask your co-workers to speak back to you, but you want your presentation to feel natural, like you’re just talking. Aim for a tone of voice that’s friendly and approachable. If it helps, imagine talking to a friend. Additionally, make eye contact. Your work presentation is likely for a smaller group, so avoiding eye contact will look awkward. The way you prepare can also make the presentation feel more or less conversational. Reading notes verbatim will make you come across as stiff and boring. For this reason, it’s OK to write bullet points on your whiteboard, but don’t read them aloud – let your co-workers write down the bullet points as you present. If you can’t memorize your speech, jot down main ideas on note cards to reference as you talk. Narratives capture people’s attention, so use that format in your presentations. Your speech should have a beginning, middle and end, with rising action, climax and resolution. 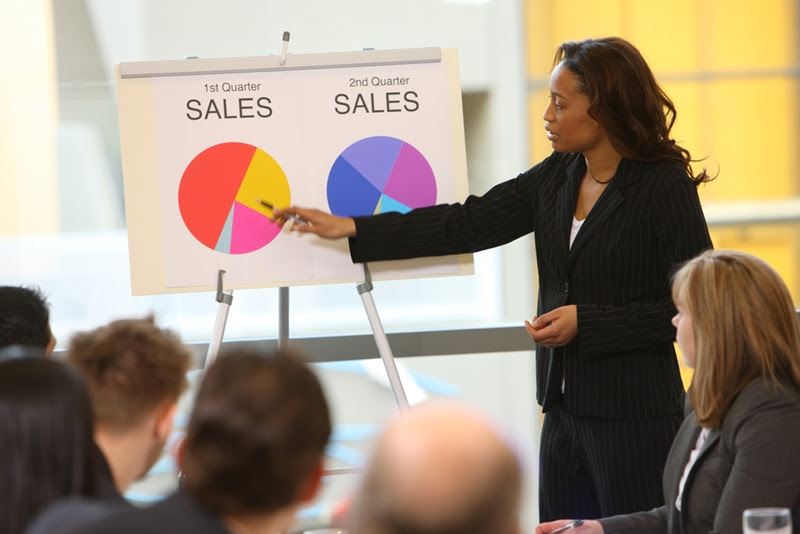 What’s more, work presentations often involve a problem-solution format. Integrate stories as examples of a problem in your office and as examples of how to fix it. Narratives are engaging and structured, so inherently more captivating. By using a balanced framework, being engaging, telling stories and using a whiteboard for bullet points (not as a prompter), you can get your co-workers excited about your ideas. Tags: applause-worthy presentations, Good presentations, Writey board. Bookmark the permalink.